While most eyes have been focused on Microsoft finally slapping an official price tag on its upcoming Surface tablet this morning, let's not forget there other companies involved in the Windows 8 madness as well. Just a few moments ago, Samsung announced it's now ready to take your money in exchange for one of the many offerings inside its hefty PC repertoire, such as the ATIV Smart PC, Series 5 Ultra Touch, Series 7 Notebook, Series 9 Premium Ultrabook and the Series 5, Series 7 all-in-ones -- all of which will be available on that now-famed October 26th date. Naturally, pricing depends on what setup you decide to add to your cart, but chances are you'll find one that's right for you amongst this extensive PC feast from the Korean electronics giant. 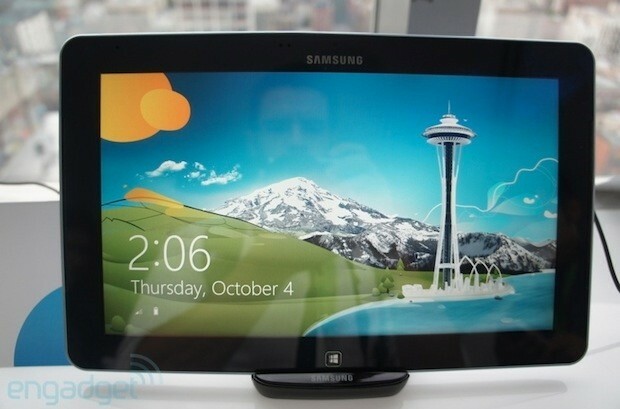 Samsung starts taking pre-orders for its Windows 8 PC lineup originally appeared on Engadget on Tue, 16 Oct 2012 14:01:00 EDT. Please see our terms for use of feeds.